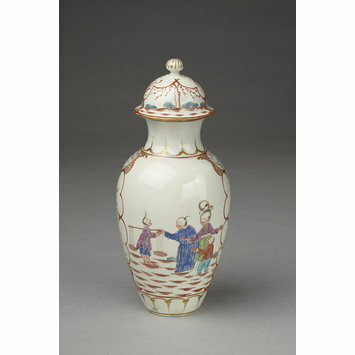 Vase and cover of soft-paste porcelain painted in enamels and gilded. Baulster-shaped, with domed lid. 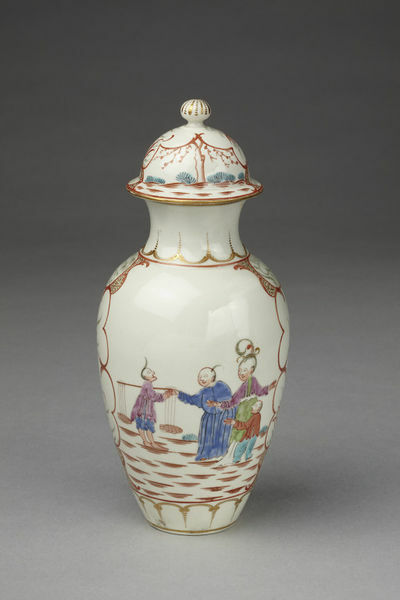 Painted with Chinese scenes and figures separated by panels outlined iwith red scrolls and painted wiht formal plants in grey and red.